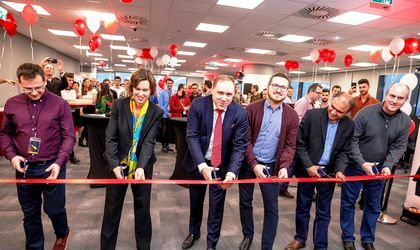 CrowdStrike Inc., the leader in cloud-delivered endpoint protection, today announced the official opening of its new Center of Innovation in the Pipera Technology District, Bucharest. The company is present in Romania since 2016, when it made an acquisition, but only now it has opened officially the office. 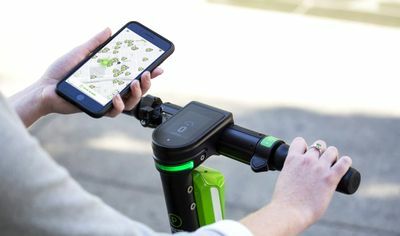 The team already has over 30 employees and it plans to hired additional 80 by the end of 2019. Around the world, the company has 1,300 employees. The new Center of Innovation will give the company a chance to continue to grow and recruit experts from Romania and the wider region as the company continues to develop its market- leading capabilities. The Center has been founded and is headed by Research and Development Director Daniel Radu and Principal Engineer Horea Coroiu. ”As a Romanian expat, I am extremely proud to have been able to support my home country through the opening of this center, and it is my deepest hope that all of this country’s great specialists in kernel programming, systems design, and secure computing will be able to take advantage of our benefits and work opportunities,” said Alex Ionescu, vice president, EDR Strategy at CrowdStrike. CrowdStrike is the leader in cloud-delivered endpoint protection. Leveraging artificial intelligence (AI), the CrowdStrike Falcon platform offers instant visibility and protection across the enterprise and prevents attacks on endpoints on or off the network. CrowdStrike Falcon deploys in minutes to deliver actionable intelligence and real-time protection from Day One. It seamlessly unifies next-generation AV with best-in-class endpoint detection and response, backed by 24/7 managed hunting. Its cloud infrastructure and single-agent architecture take away complexity and add scalability, manageability, and speed. CrowdStrike Falcon protects customers against all cyber attack types, using sophisticated signatureless AI and Indicator-of-Attack (IOA) based threat prevention to stop known and unknown threats in real time. Powered by the CrowdStrike Threat Graph, Falcon instantly correlates 1 trillion security events a week from across the globe to immediately prevent and detect threats.